GTArcade’s newest free to play MMORPG League of Angels II has been on fire since the official North American launch earlier this month. With weekly content updates, both the game and the playerbase has grown exponentially. This time GTArcade has something special in store for its players. “On April 23rd, come celebrate Panda Day in LoA2 with special weekend-long events dedicated to those adorable bamboo eaters! What’s more, ALL proceeds from the Panda mount events will be donated to giant panda programs in selected zoos around the US,” said the company in a statement posted on its Facebook fan page. Let’s Feed The Pandas Together! Following the Smithsonian’s National Zoo’s Panda Day on April 24th, League of Angels II is dedicating this weekend to the giant panda! The zoo is the only place where most of us can catch a glimpse of this endangered animal, but did you know that raising a panda can cost up to $1.5 million a year? To ensure that future generations can continue to experience these lovely creatures, GTArcade has teamed up with zoos in the US! As part of its mission of “Sharing Simple Joy”, GTArcade will donate ALL proceeds from the Panda Day Events to fund the giant panda programs in 3 selected zoos - Zoo Atlanta, Smithsonian’s National Zoo, and the Memphis Zoo! Panda programs are vital in both preserving and raising awareness for these endangered animals. During these special events, players can obtain their own cute panda while doing their part for a good cause! 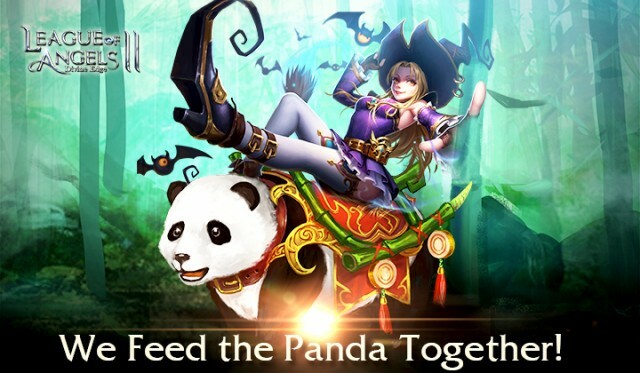 Just like the elusive giant panda, the Panda mount in League of Angels II is also a precious rarity. But during the special Panda Day Events from April 23 - 26, players will be able to obtain shards to summon this majestic companion through daily tasks and special events! Collect 100 to summon your own mighty Panda mount! ▶Panda Mount: Unique Giant Panda riding companion that provides a powerful defensive buff for your entire team. ▶ Bamboo Exchange: 10 Bamboo can be exchanged for 1 Panda Mount shard.Bamboo can be obtained from Elite Dungeons. 1）Panda Pack: Purchase this item in the Shop to get Panda mount shards, Bless stones, Mastery stones, or other rare materials. 2）Event: Players can purchase Panda mount shards based on their VIP level. 3）Recharge Event: Recharge a certain amount to get Panda mount shards. *All proceeds will go to funding giant panda programs. 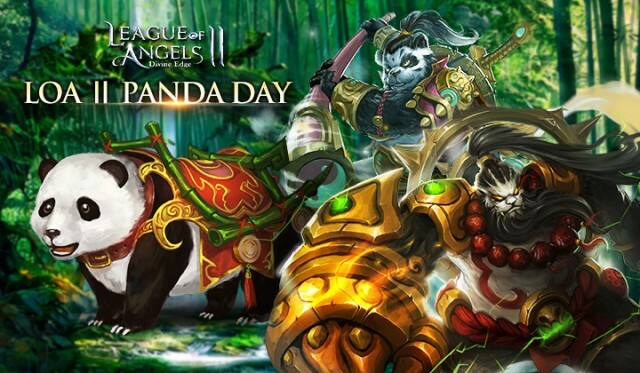 Celebrate Panda Day in League of Angels II this weekend and enjoy all the rewards! Don’t miss this chance to earn your Panda mount while supporting a good cause. Let’s feed the Pandas together!